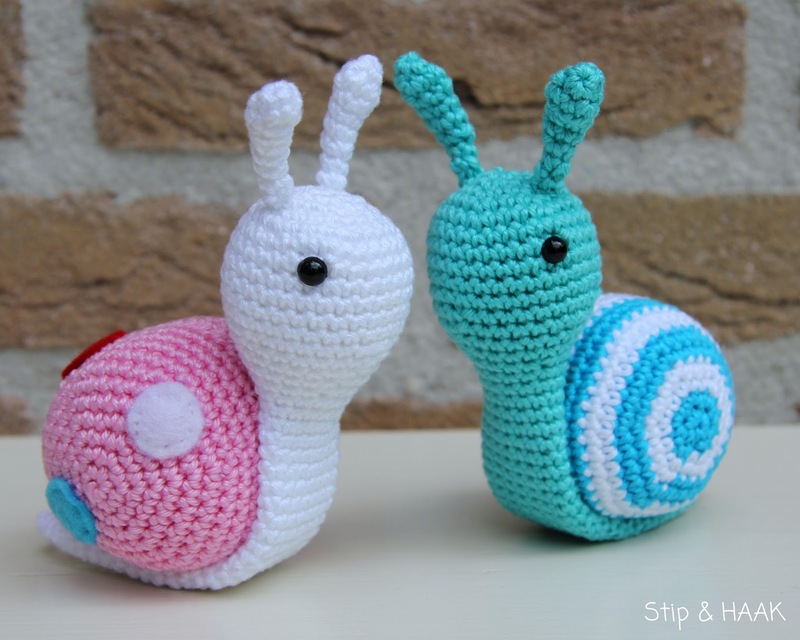 Looking for a new amigurumi project that doubles as a tool for sewing projects? How about this adorable snail pincushion from Stip & Haak? This tiny cutie (affectionately called “Sofie”) is yours for the making with a free pattern (and a little help from Google Translate) provided for your crafting pleasure. To make your own Sofie (or multiples for your family, friends, and co-workers who need a little partner for their fibre arts projects), you’ll need the following materials: yarn (the pattern recommends 40 grams of cotton yarn), crochet hook, scissors, 6mm size safety eyes, polyester filling (you can also substitute other materials, such as t-shirt strips, yarn, rice, or pellets), an embroidery needle, and felt. 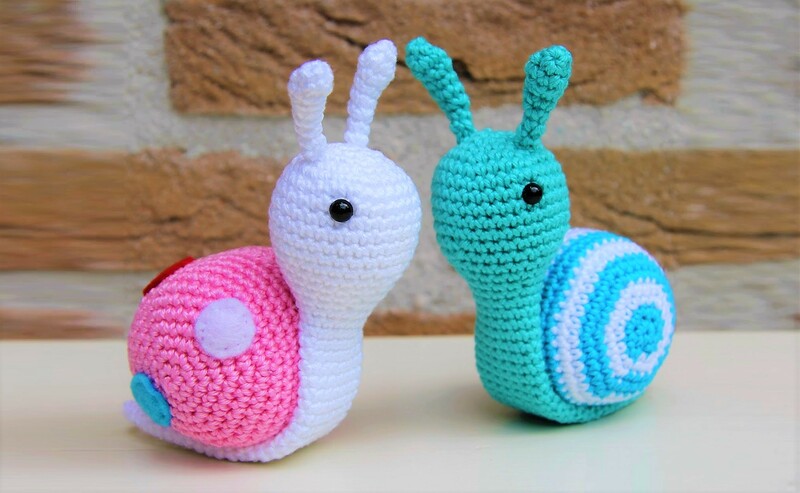 If you’ve never attempted amigurumi before, the basic idea is that you’ll be crocheting various parts of the project and then assembling them together for the finished project. You’ll add the eyes in as you go, as well as some of the polyester filling. 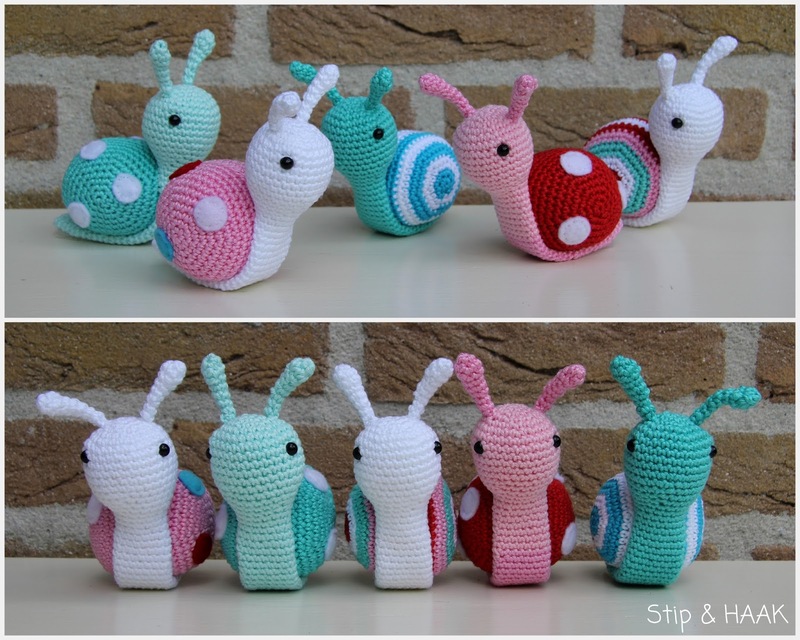 After you’re done creating the body of the snail, you’ll sew on the little polka dots using the embroidery needle. Since the original pattern is not in English, you may have a little difficulty translating at first, but if you’ve read other amigurumi patterns in the past (or take a peek at some before you start this project), you’ll be able to figure it out – especially since many patterns are mostly stitch numbers. The end result? 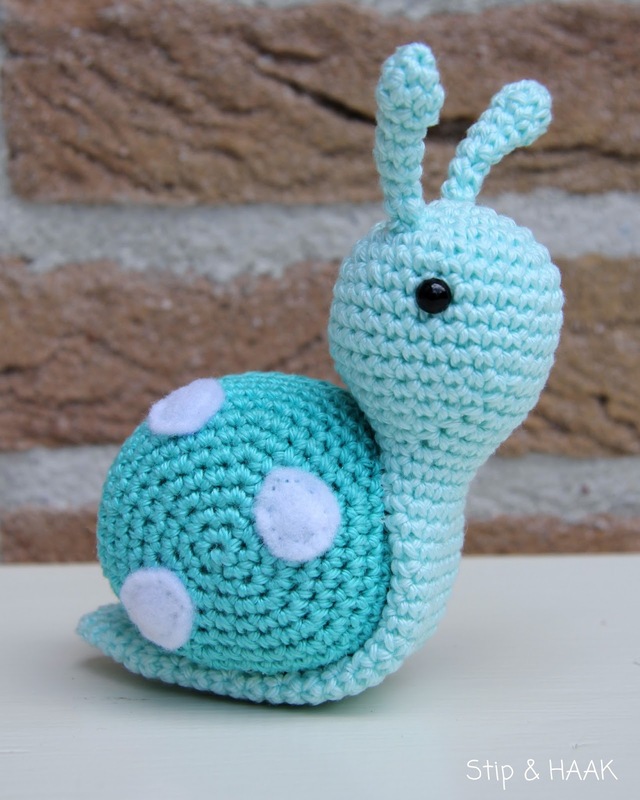 An amigurumi that is both exceptionally precious and practical, able to bring a smile to your face while it holds your pins for the next sewing project. If you need one of these little snuggle buddies in your life, visit Stip & Haak’s site for the free pattern. You might also want to check out their other free patterns (Google Translate does a decent job if you need interpreting).